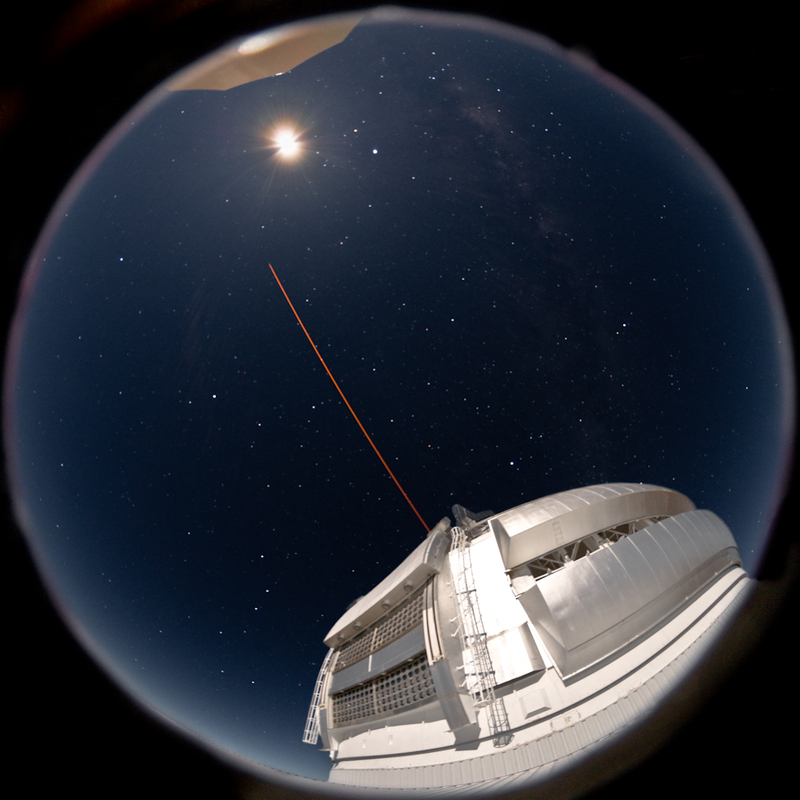 In this fisheye image, Gemini North is visible in moon light as it uses the Laser Guide Star system. Arch girders going up, late February 1997. Concrete pours in late 1995.